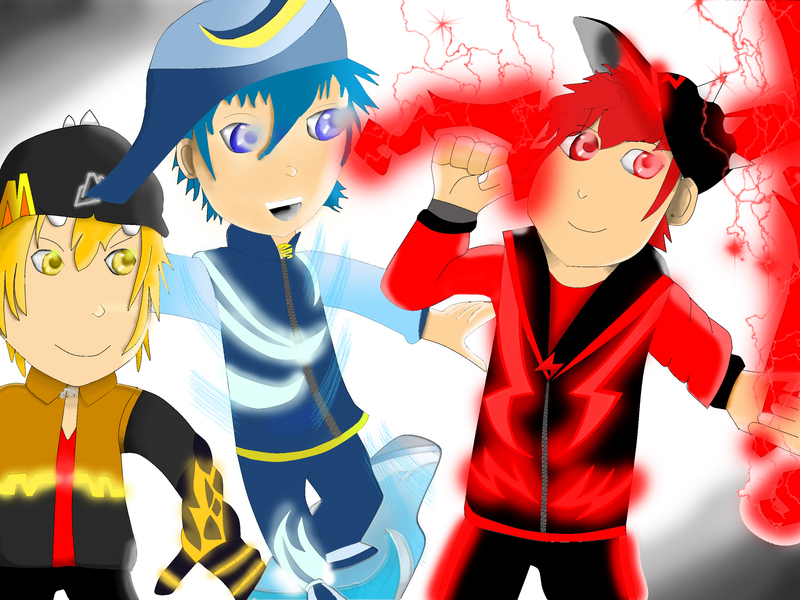 Trio 波波仔（boboiboy） ... 波波仔（boboiboy） kuasa tiga!!! (Gempa, Taufan, Halilintar). Wheen BOboiboy shows his power!. HD Wallpaper and background images in the 波波仔（boboiboy） club tagged: photo. Wheen BOboiboy shows his power!